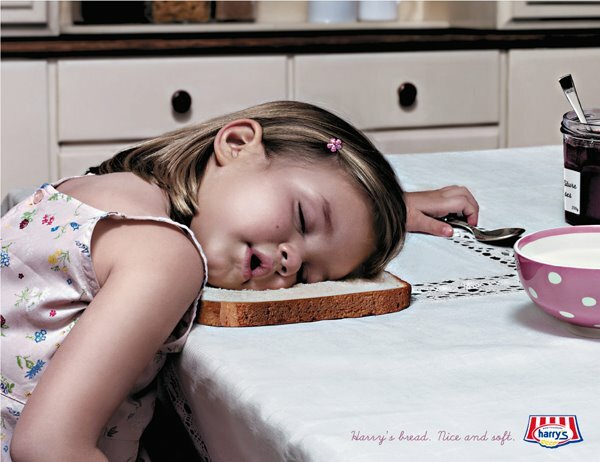 Have you ever seen a slice of bread as big as the head of a little girl? ahahaha!!! And to let you know, it's a sort of "student work" done by TBWA France. It'a all fake ads. Only for prices. Thisis not our job.